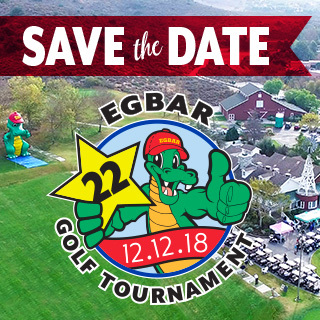 On Wednesday, December 12, the EGBAR Foundation will be back at Strawberry Farms Golf Club in Irvine, California for its 22nd Annual Charity Golf Tournament. The tournament is a critical fundraiser for the organization, whose mission is to provide individuals and groups with the resources needed to make a positive impact on our planet. EGBAR, which is an acronym for Everything's Gonna Be All Right, is a term coined by Bruce FaBrizio, founder of the EGBAR Foundation and Amore for Dogs charitable organizations, as well as Founder, President and CEO of Simple Green. Bruce and his wife, Viviana Soldano FaBrizio, will once again host golfers for a full day of fun and fundraising on the links. 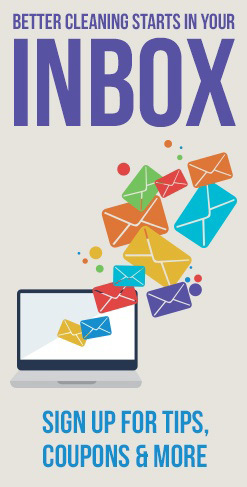 Activities will include 18 holes of golf, wine tasting, dinner, an awards cermony, and numerous opportunities to win outstanding prizes during raffles and auctions. The EGBAR Foundation, Simple Green, and a group of generous sponsors team up each year to execute the fundraising event. Last year, it succeeded in raising over $175,000 for its benefactors. The EGBAR Foundation is made up entirely of volunteers, ensuring 100% of tournament proceeds go directly to benefactors, providing support to our hero veterans, educating youth about the effects of pollution, and providing rescue dogs with forever homes. This year, the EGBAR Foundation aims to provide continued support, as well as expansion, of the programs it sponsors for the Gary Sinise Foundation, the Bolsa Chica Conservancy, and Amore for Dogs. The EGBAR Foundation began supporting the Gary Sinise Foundation in 2016, sending teams of volunteers to their festivals and events across the U.S. Since 2015, the EGBAR Foundation has helped fund the Bolsa Chica Conservancy's traveling science program, Windows to Our Wetlands (WOW), a science-based youth outreach project that focuses on helping kids explore and experience the wetlands ecosystem. Amore for Dogs can often be seen working side-by-side with Simple Green and the EGBAR Foundation. Together, they help raise awareness about the impact that toxic chemicals used in the pet industry have on our environment, promote safer, non-toxic options, and raise money and awareness for pets in need. Visit Egbar.org for more information on the EGBAR Foundation and the golf tournament. The EGBAR Foundation was established in 1989 by Bruce FaBrizio, CEO and Chairman of Sunshine Makers, Inc. to help make a positive impact on the planet at the community level. The Foundation oversees its own projects and intiatives, in addition to supporting charities, businesses and communities who are focused on improving environmental education and taking measurable actions toward improving the planet and the lives of its inhabitants. For more information, please visit egbar.org. Launched in 2011, The Gary Sinise Foundation honors the nation's defenders, veterans, first responders, their families, and those in need by creating and supporting unique programs designed to entertain, educate, inspire, strengthen and build communities. For more information, please visit garysinisefoundation.org. The Bolsa Chica Conservancy, located in Huntington Beach, California, is a private, non-profit organization established in 1990 to advocate education and public awareness, restoration and preservation of the Bolsa Chica Wetlands. Its principal mission is to inspire all generations through community involvement, leadership, and hands-on science education on coastal resources, watersheds, and wetland science. For more information, please visit bolsachica.org. Amore for Dogs is a non-profit organization founded by fitness celebrity and glamour model Viviana Soldano FaBrizio and Founder, President and CEO of Simple Green Bruce FaBrizio. The foundation utilizes Viviana's passion for modeling and love of dogs to rescue dogs in need and find them loving families. For more information, please visit amorefordogs.org.